Will the end of Baltex allow room for another freight futures exchange? The Baltic Exchange, the world’s largest source of maritime shipping information, is scheduled to pull the plug on its freight derivatives exchange today. The platform, called Baltex, was launched in June 2011 as the first central electronic marketplace for freight forward agreements (FFAs). FFAs are futures contracts that allow hedgers or speculators to take positions on cargo rates at a fixed point in the future. Baltex underwent several transformations during its existence. First it was a public freight futures auction market. Later it became an over-the-counter block futures exchange handling privately negotiated over-the-counter (OTC) futures contracts only. The Baltex platform itself is a successor to the BIFFEX (Baltic International Freight Futures Exchange) which was launched in 1985. BIFFEX was a formal exchange where participants could buy and sell futures contracts. The platform operated until 2002 when interest dropped in the organized exchange in favor of over-the-counter FFAs. The Baltic Exchange is a trade group made up of more than 600 companies that represent most of the world’s shipping interests. Founded in 1744, it is based in London and publishes the Baltic Dry Index (BDI) which is a daily assessment of price of moving major raw materials by sea against which Baltex contracts are settled. The BDI covers dry bulk commodity shipping on the four most popular ship sizes; Handysize, Supramax, Panamax, and Capesize. The Baltic Exchange will continue to publish the BDI, as well as other benchmark indices, and is enthusiastic for OTC contracts to continue to settle against it through other channels and platforms. 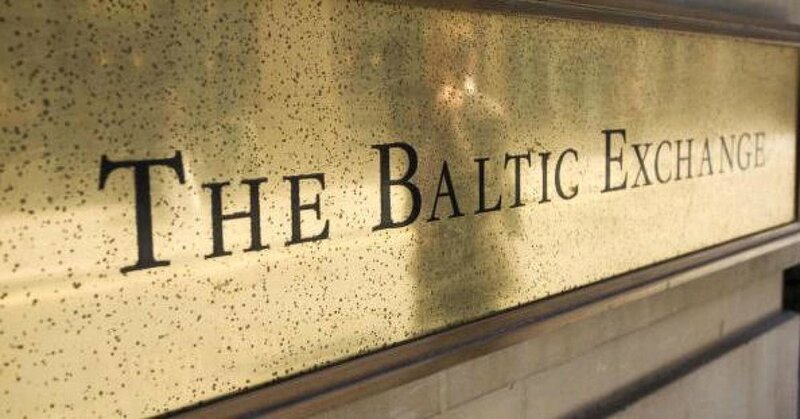 “Despite Baltex’s closure, the Baltic Exchange remains at the center of the global FFA market and is steadfast in its support of it,” Baltic Exchange’s CEO Mark Jackson told Reuters. The ending of Baltex was announced in June and ascribed to a couple of overarching factors. First, Baltex’s clearing house, LCH, announced that it would end its FFA clearing services by the end of the year due to slower volumes. Secondly, the Baltic was purchased by the Singapore Exchange (SGX) in November for $114.19 million. It was already known before the sale went through that the SGX was not particularly interested in continuing Baltex. Could the demise of Baltex open the door for other futures exchanges to step in and fill the demand? There is currently one other well-known FFA exchange called the Imarex from Norway which is especially prevalent in tanker contracts. But with volumes and volatility at such high levels the shipping industry could soon be begging for a new exchange to help better hedge risk. The six awards were handed out to public and private fleets that demonstrate leadership in clean transportation. SAP posted impressive growth in cloud revenue while avoiding a concomitant drop in licenses. It’s a game of several parts as Drewry Shipping Consultants' World Container Index indicates that rates are marginally down by 0.3 percent compared to the previous week. But the index is massively up, by 12.8 percent, compared with the same period last year. A flattening market can be perceived as “good news” given there have been a couple of weeks of slump. Korea’s only remaining container ship line may want to go beyond its slot sharing deal, but Western carriers wary on subsidized shipping.